Pinhay House | New Manager! 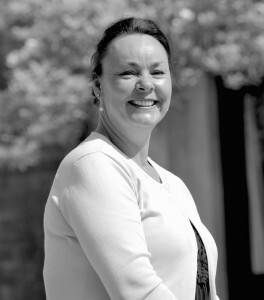 Carole and Robin are delighted to introduce Adele Brady as the New Manager of Pinhay House. Adele joined us in early February 2015 on a trial basis. We had had a very difficult 12 months, that saw Pinhay lose its direction. Adele immediately set about correcting what had gone wrong and has driven changes and improvements that had been lacking previously. Adele was appointed in a permanent position at the beginning of July. I started work in the Care Industry 30 years ago as an Auxillary Nurse and worked in a variety of settings including hospitals, A&E and Care homes for both young and old. In the last 15 years I have been in Management roles with Children and Young adults in both Mental Health and Complex care. In 2014 I worked in a supportive role in a “troubleshooting” capacity taking areas of concern/failure and setting up Improvement strategies. In late 2014 I became aware of Pinhay House and wanting to “return to my roots” I applied for the role of Registered Manager. What were your first impressions of Pinhay House ? Oh that’s an easy question ! It was immediately warm and welcoming, I instantly felt “at home” . The residents looked happy and stimulated with staff engaging well. What do you hope to bring to Pinhay House ? I am passionate about Quality of Care. I am enthusiastic and energetic, I want to inspire the staff to always give of their best. I have a sound business knowledge and know that working with Robin and Carole we can move things forward. What are your future plans for Pinhay ? I’ve now been here five months and am filled with enthusiasm for the future. I have a quest for learning and a desire to move things forward. We now have full occupancy and are very excited about our return to Day Care opportunities for the community.